Facebook for Business is constantly evolving. Recently Facebook CRM (Customer Relationship Management) became much easier with new tools and integrations. Customer relationship management can be hard enough without the addition of superfluous disorganized messaging platforms. 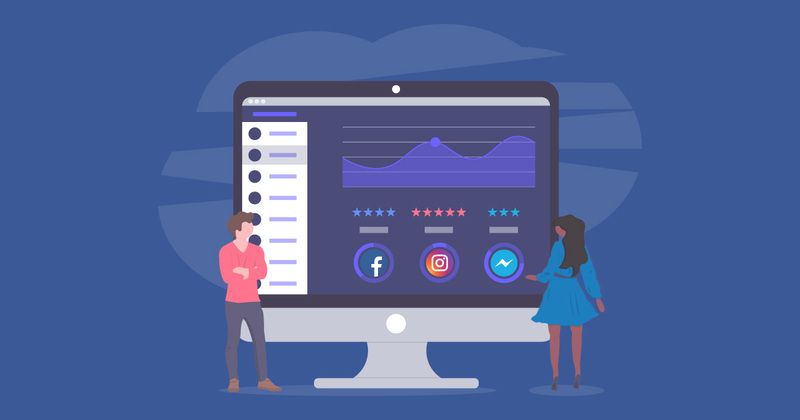 Over the years as social media increased in popularity, so did the habit of consumers contacting businesses through platforms like Facebook pages. 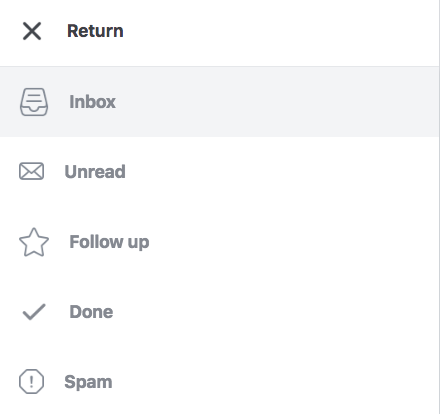 In response, Facebook changed their business page inbox to make it more manageable for teams to connect with customers on Facebook. Now you can use your Facebook Business Page Inbox like you would with a proper (and sometimes expensive) customer relationship management platform, like SalesForce or HubSpot. First, why use Facebook as an additional CRM tool? Facebook CRM makes it easier for customers to connect with you. Chances are, people have already tried to contact your business through your Facebook page. When this happened, you most likely sent them to an external contact form, email, or CRM system in some way. Your customers, or potential customers, don’t like this. They want the answer they’re seeking immediately. It’s frustrating to be redirected to another contact form, messaging system, or email when there’s clearly someone on the other side of the screen anyway. In the business world, we all know that the person sitting behind the screen all day every day might not necessarily be the best person to ask about whatever the question may be. But using Facebook CRM isn’t necessarily about what’s convenient for your business. Your CRM strategy should be customer-oriented. Facebook is trying to make it easier for businesses to have a healthy relationship with their social media followers and customers through their inbox. They changed their entire inbox for pages to reflect more of a CRM functionality. This gives businesses better control over their CRM strategy through Facebook and makes it more customer-oriented. Instead of redirecting your customers, you’re meeting them where they are already. Using Facebook as your main, or an additional, CRM platform is also beneficial because you get more data about the person you’re in contact with than you would any other way. Facebook is a data powerhouse. Interacting with your customer base here allows you to fine tune your messaging and responses based on information you would not have otherwise. You might have noticed the changes to your inbox a while back, but most people failed to pay attention to what really happened. It certainly took me some time to realize exactly what Facebook had done. As a marketer, I was not happy with another CRM platform and more streamlined access to my inbox on Facebook. But the new inbox is actually one of the best things to happen to Facebook for Business in a while. Here’s a breakdown of how to use Facebook CRM. 1) Choose what kind of messages to look at. 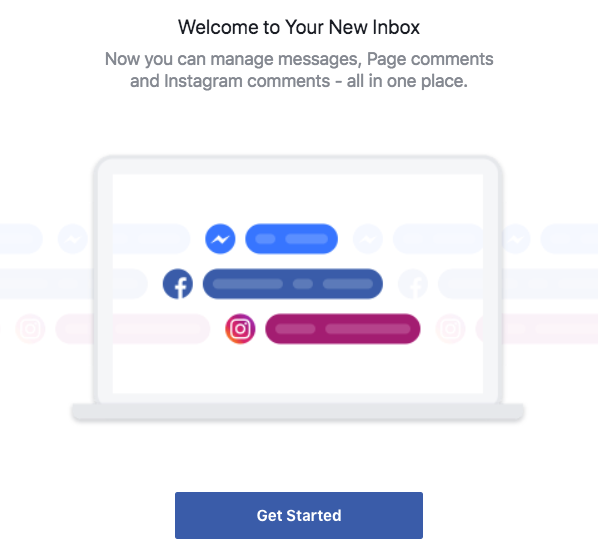 Your Facebook Inbox simplifies how you can see and respond to messages in Messenger, comments on your posts or replies to your comments, new reviews and recommendations, and even Instagram interactions. On the upper left of your screen, you can toggle between these different types of inboxes for your business. 2) Assign a Facebook Message to a person on your team. Each message can be assigned to a particular individual on your team, just as you would assign a contact or message in a platform like SalesForce or HubSpot. Assigning a message to a particular individual eliminates the potential for bystander effect. When there are multiple people responsible for one particular task, most others will assume someone else will take care of it. This results in missed messages and unanswered questions. You can use the assignment feature to delegate messages to your support team, sales team, development team, etc. 3) Mark the message as spam, read/unread, to follow up, or done. Facebook also allows you to mark the status of a message so you and your team can communicate nonverbally about where you are in the process of replying to someone. When you mark the message as done, you won’t see it in your main inbox anymore, but you can always find it by choosing the menu in the corner and selecting the “Done” Inbox. 4) View contact information and take relationship notes. All the way to the right of the page are most of the real CRM tools. Here you can see a profile photo and go directly to the person’s Facebook page. This spot also shows you the geographic location and local time of the person you’re speaking to so you know if you can expect them to be online or not and make sure you don’t try to contact them in the middle of the night. The best function available when you use Facebook for CRM is the ability to label and leave notes on a contact. You can use labels to mark contacts as sales leads, customers, affiliates, partners, etc. Additionally, notes on the contact help you keep track of things and allows your team to communicate if someone else needs to take over the conversation. Other than messages from Facebook Messenger, you can also easily see and respond to all engagement with your brand. Your recommendations and reviews along with comments on your posts and replies to your comments will all appear in the Facebook comments and more section. It’s important to respond to all of your reviews, so this section is ideal to keep an eye out for new recommendations and reviews on your Facebook Page. Using this inbox will make sure you do respond to all of your reviews. If your company uses Instagram, you can also manage your entire Instagram account from your inbox platform as well. The only things you can’t do are find other people’s posts and post your own. 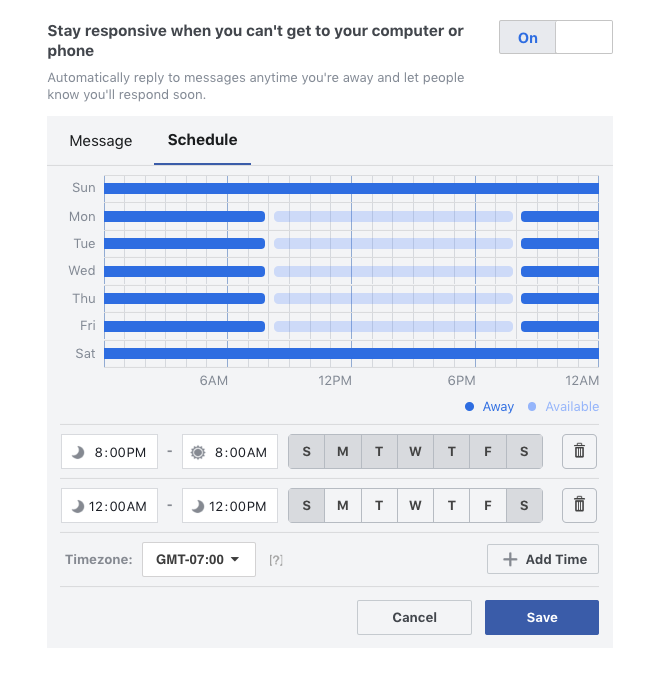 Beyond actually using the CRM features actively, you can adjust your settings to direct visitors of your page to message you, set up an auto-reply, and adjust your business hours so your automated responses change based on whether you’re available or not. To adjust your general settings for Messages on Facebook, go to your Facebook Page and find Settings > Messaging. Prompt people to send your business a message with a pop-up Messenger box. If you want people to contact you through Facebook, you should always have this turned on. If you would rather not have customers contact you through Facebook, toggle this off. 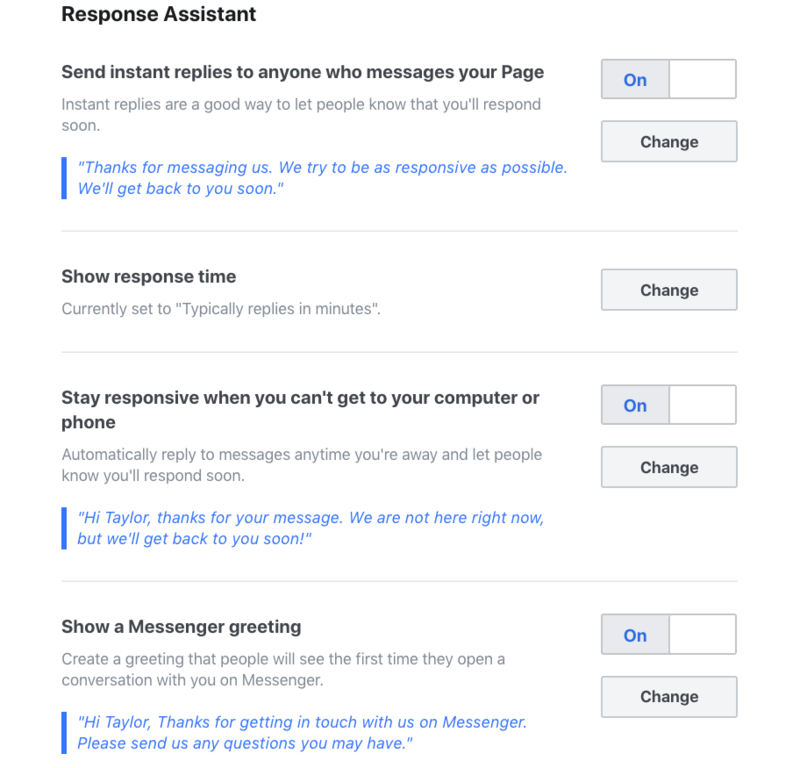 The response assistant is one of the more powerful features of the Facebook messaging platform for businesses. It allows you to craft messages to go out automatically whether or not you’re online. It’s best to use the response assistant no matter what because it will allow your page response time to remain high even if you’re not online. You can even tailor your messages to say something different when you are not online and your business is closed. Make sure you edit the questions that are included in this section. All of those included in the default settings may not apply to your business. If you are a business like a dentist or massage therapist, you can use Messenger to set up appointments with people as well. Facebook will send a notification to the person that has an appointment with your business through Messenger. You can also create an automatic follow-up message if your customers might need a follow-up appointment. There’s more! 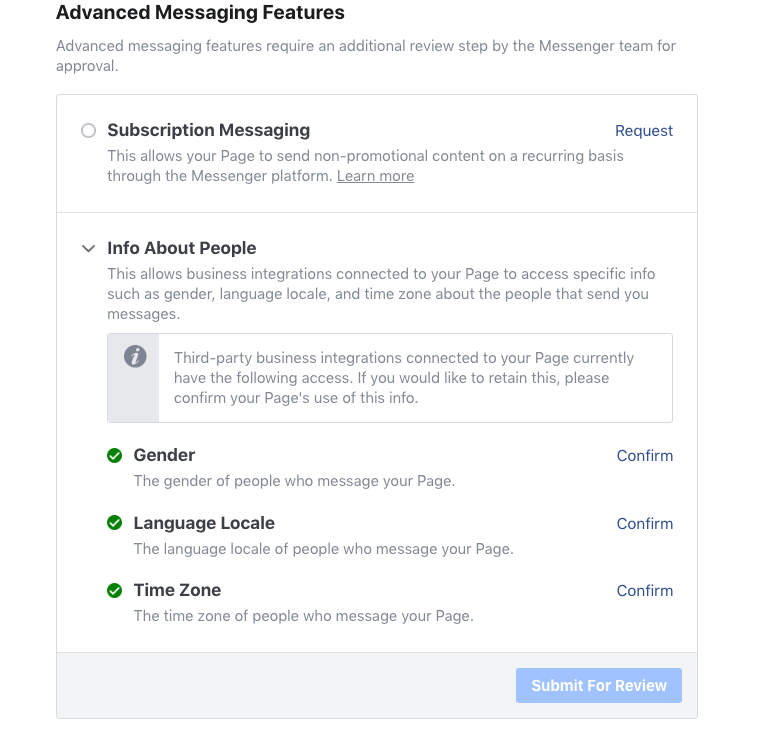 Under Settings > Messenger Platform, you will find additional Messenger settings that give your business powerful tools. This is where you can really shine when it comes to customer service as well as driving more traffic to your website. Subscription messaging is a powerful feature that is useful if you have a service like a dentist office or a restaurant where people make reservations. An NGO might even use it to update their donor base and social media followers on news about their cause. There are a lot of possibilities. Newsworthy events and information – Business, sports, real estate, finance, traffic, politics, weather, nonprofit organizations, entertainment, etc. Productivity – Reminders, calendar notices, tasks, etc. Information tracking – Personal information, health/wellness, finance, etc. Facebook’s advanced subscription messaging feature requires a developer to set up. You have to create a subscription bot and submit it to Facebook for review before you can send subscription messages to people. As robust as it can potentially be, this system is difficult to set up. It’s best to check their developer documentation for the full details. Underneath the option to use subscription messaging you will find an info about people section. This is what allows you to control the data you collect about those you interact with on Messenger. The trick here is, you can’t just collect whatever data you want for no reason in particular. Facebook asks you for the reason you need each data set. Once you’ve entered a reason that you need each piece of information, submit to Facebook for review and wait for their approval. The process for approval takes up to five business days. The customer chat plugin is exactly what it sounds like. 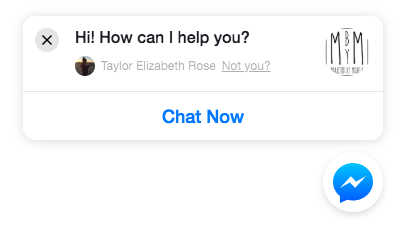 Instead of using something like Olark or HelpScout’s Beacon chat capabilities, you can install Facebook Messenger to your WordPress website. 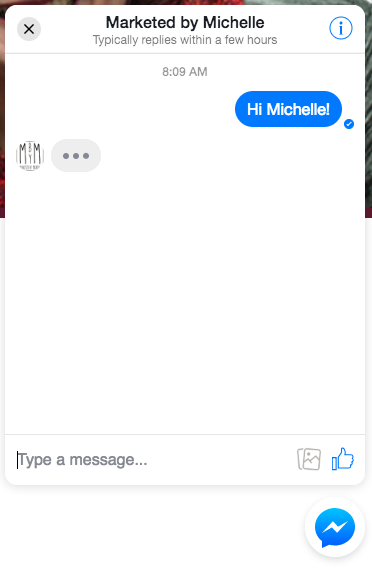 Then when someone visits your website, they see a Facebook Messenger modal in the bottom right corner. The website visitor can choose to ignore it and exit or click and open a window to confirm they want to access their Facebook account. From there, they’re directed back to your website screen where the chat window is waiting for them to start a conversation with you. If you’re using all of the other Facebook CRM features and you want to drive even more traffic to your inbox, this is a wonderful feature. Or maybe people have a lot of questions to ask about your business before they visit. This is another way to make sure those questions get answered and drive in more foot traffic. To set up this feature, find this section in your advanced Messenger settings. Complete the setup in your Facebook Page Settings. You’ll need to enter your website URL after you’ve configured your greeting message and response time. 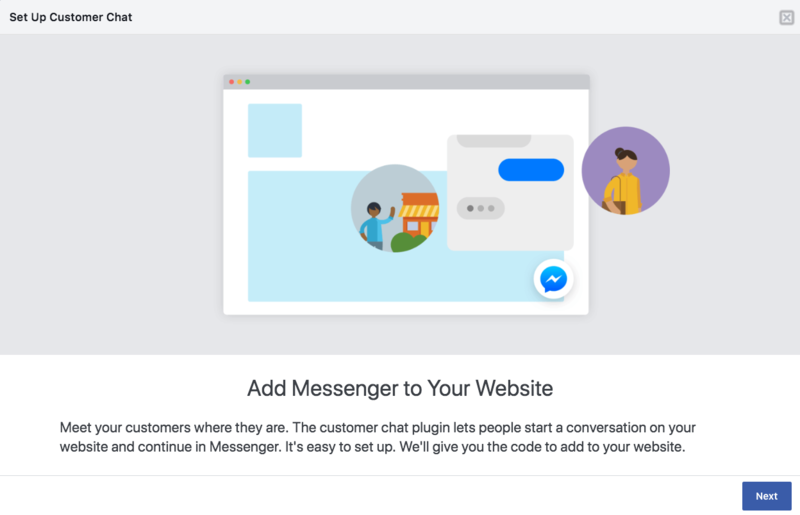 Install the Facebook Messenger Customer Chat Plugin. Insert your plugin code (found during setup) into your website’s header. I recommend using a plugin like Insert Headers and Footers so you don’t break anything on your site. If you get stuck in this process, find the developer documentation for installing the Facebook Messenger Customer Chat feature. Consider drafting your follow up messages with a link to your reviews page on Facebook. Following up your interactions with a request for a review or recommendation will result in you getting a lot more of them and probably increase your online rating. It’s one of our recommended positive habits for more online reviews. 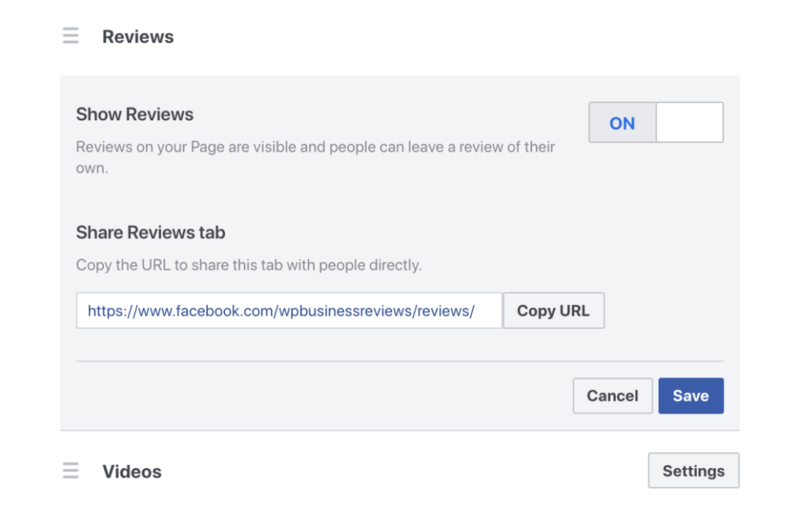 To find the proper link to lead people to leave you a Facebook recommendation, go to your Business Page and find Settings > Tabs and Templates > Reviews. Using this link after a purchase, support session, or other interaction where it seems right helps build your credibility. You’re not only asking customers to tell the world how well you did, but you’re also collecting truthful testimonials. Potential customers will see these and instantly trust your business more. 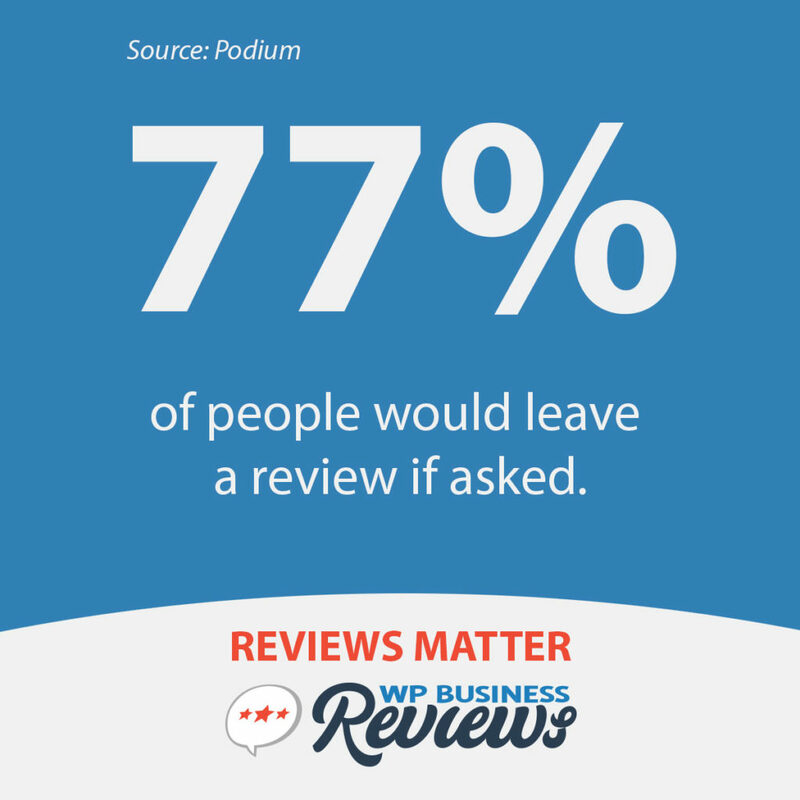 Plus, with WP Business Reviews, you can display those reviews and recommendations directly on your website. We want to help all small businesses succeed using every tool available to them. One of the most robust and constantly changing is Facebook. Join our newsletter to get more updates on Facebook for Business. This is great insight! I’m also trying to find out more too about which CRM would be at home beside the FB CRM module. Any recommendations? I need to emphasize personalized attention in a small creative services business. I use g suite too. We love the free version of HubSpot. It’s actually very robust and helps us keep close relationships with our customers. If you have any support-type needs, Help Scout is awesome to use as well. I’ve also heard good things about Sugar CRM.